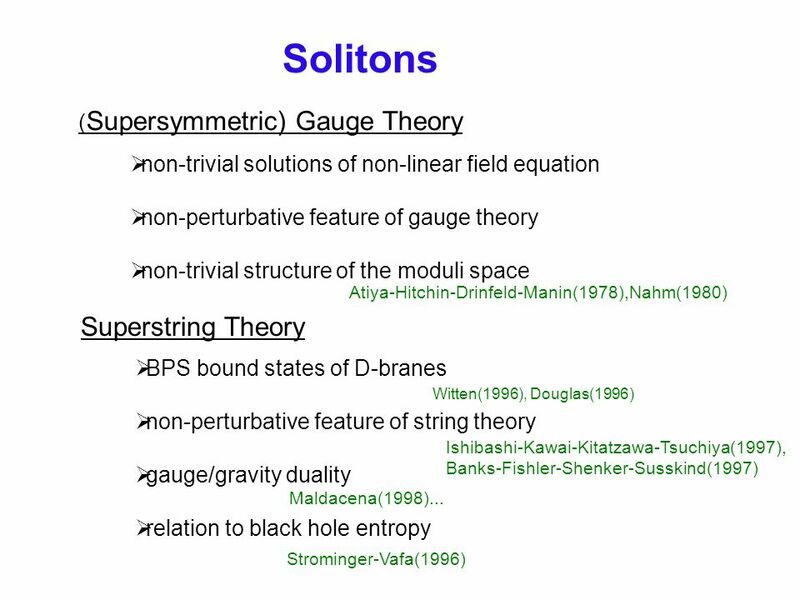 4 How to read off information of solitons from the superstring theory? 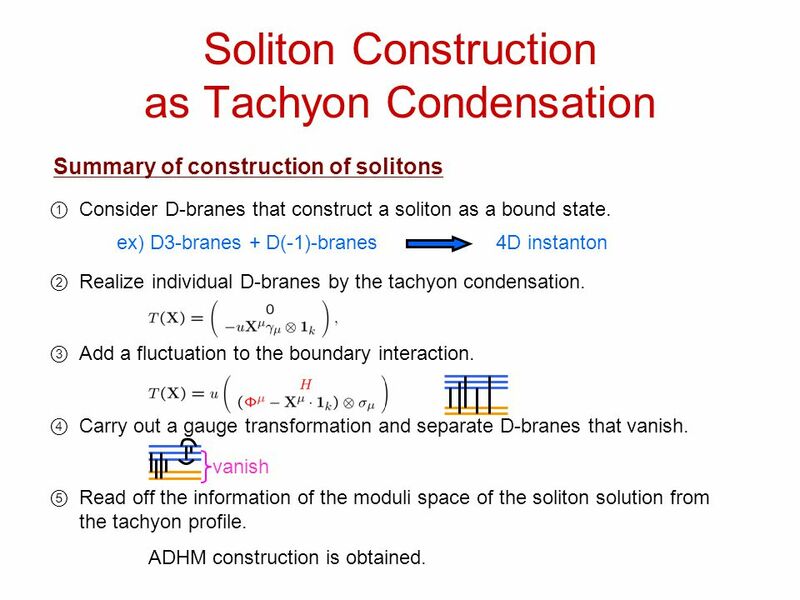 17 Soliton Construction as Tachyon Condensation Summary of construction of solitons ① Consider D-branes that construct a soliton as a bound state. 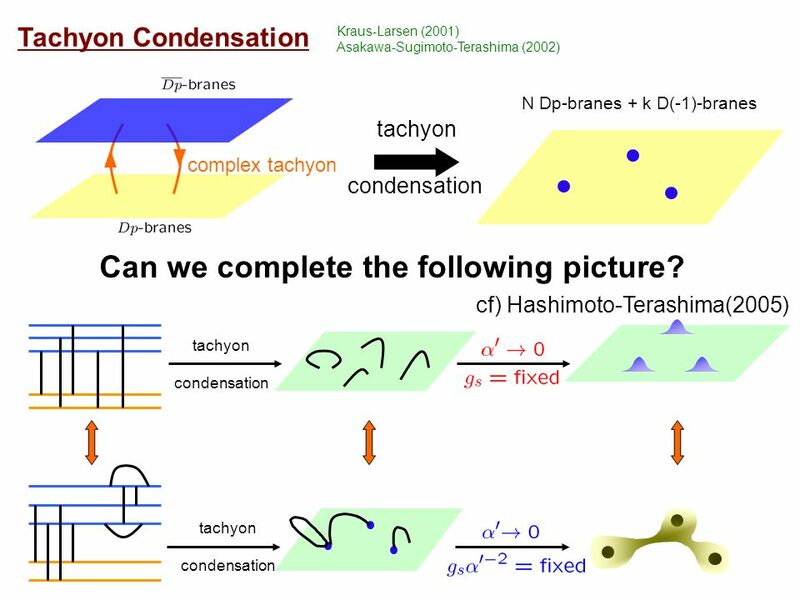 ② Realize individual D-branes by the tachyon condensation. 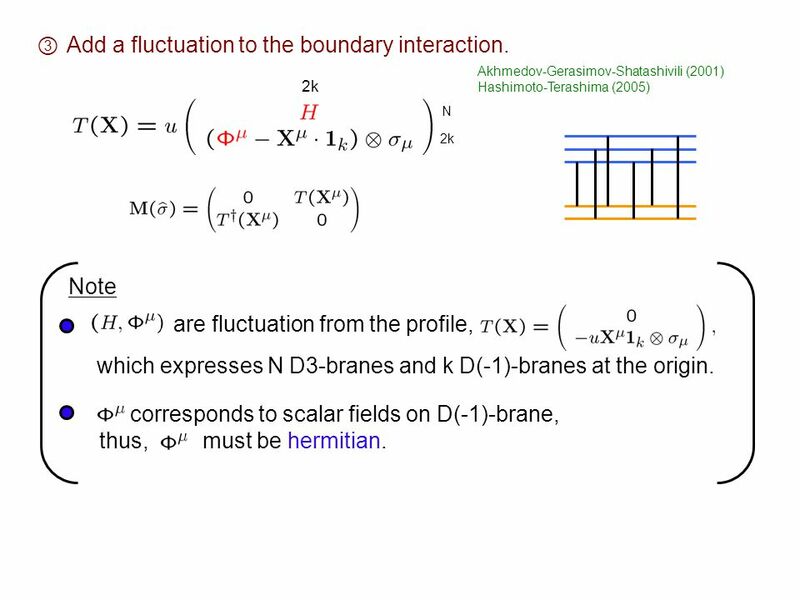 ③ Add a fluctuation to the boundary interaction. 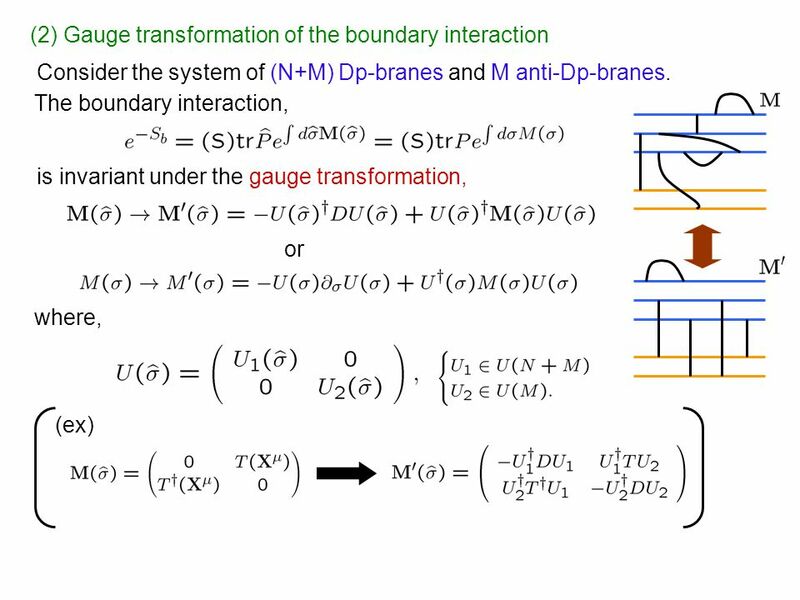 ④ Carry out a gauge transformation and separate D-branes that vanish. 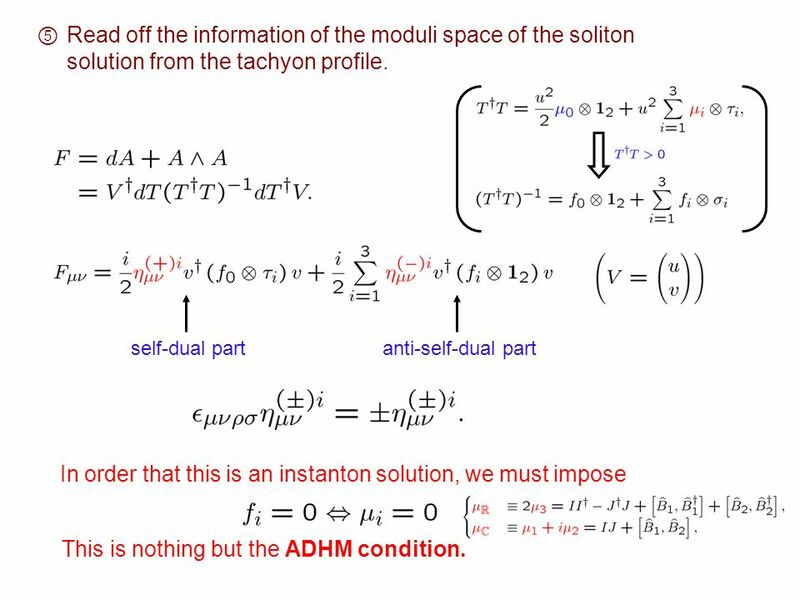 ⑤ Read off the information of the moduli space of the soliton solution from the tachyon profile. 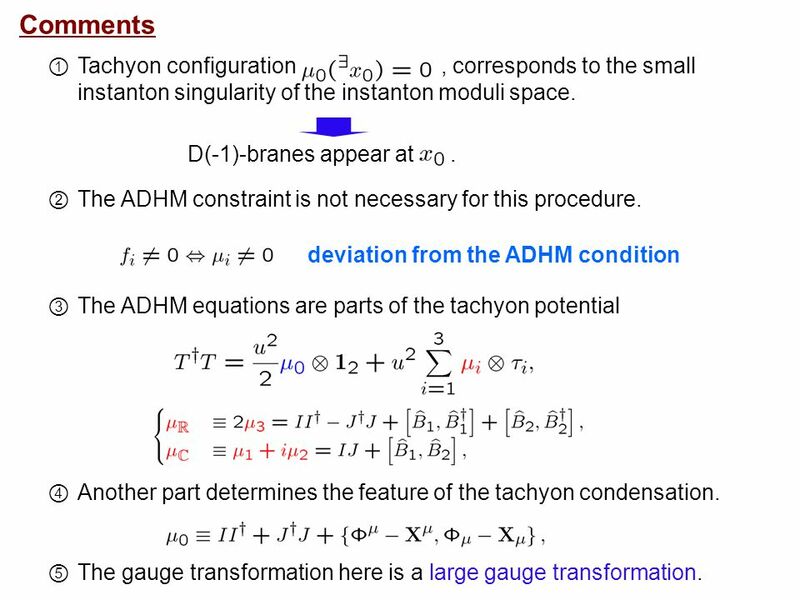 ex) D3-branes + D(-1)-branes 4D instanton vanish ADHM construction is obtained. 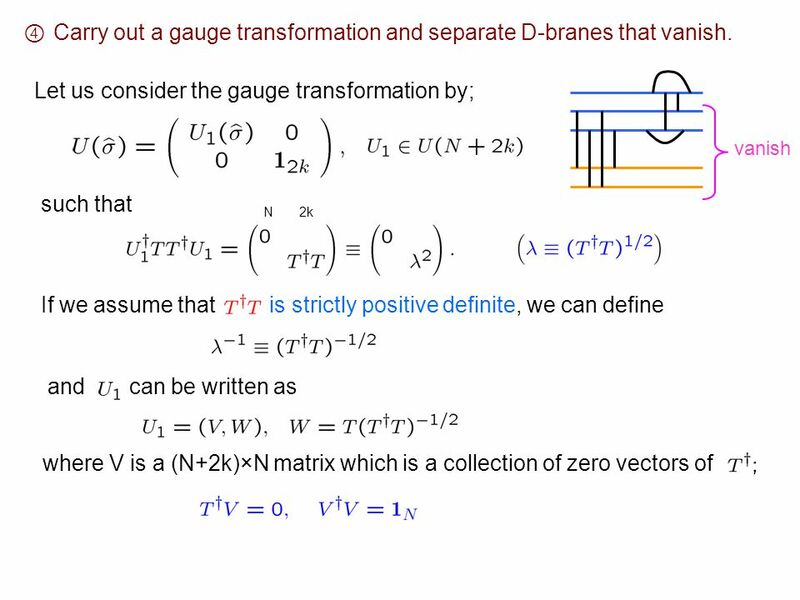 21 Let us consider the gauge transformation by; such that If we assume that is strictly positive definite, we can define andcan be written as where V is a (N+2k)×N matrix which is a collection of zero vectors of vanish N 2k ④ Carry out a gauge transformation and separate D-branes that vanish. 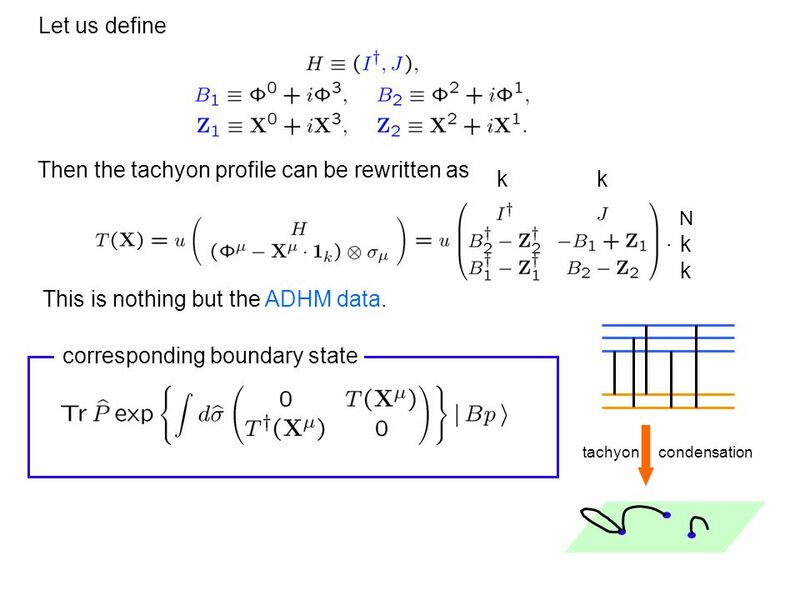 24 ⑤ Read off the information of the moduli space of the soliton solution from the tachyon profile. 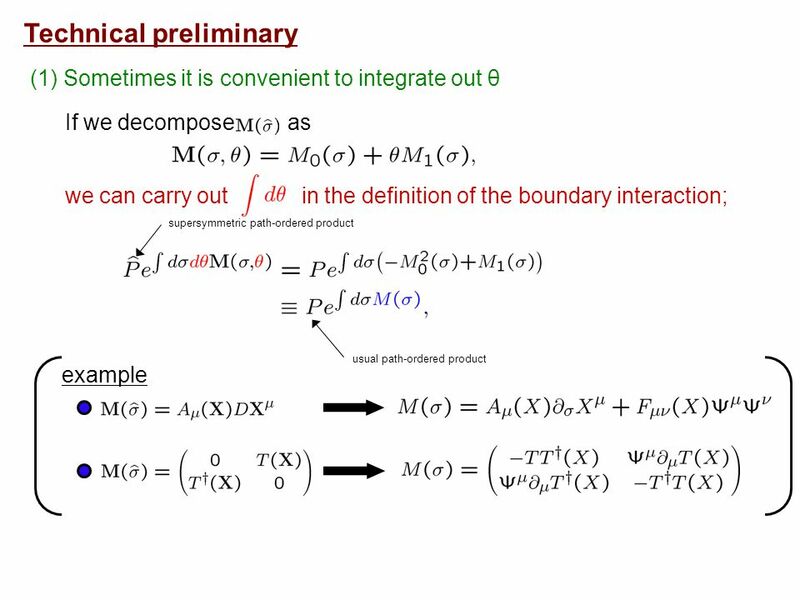 self-dual partanti-self-dual part In order that this is an instanton solution, we must impose This is nothing but the ADHM condition. 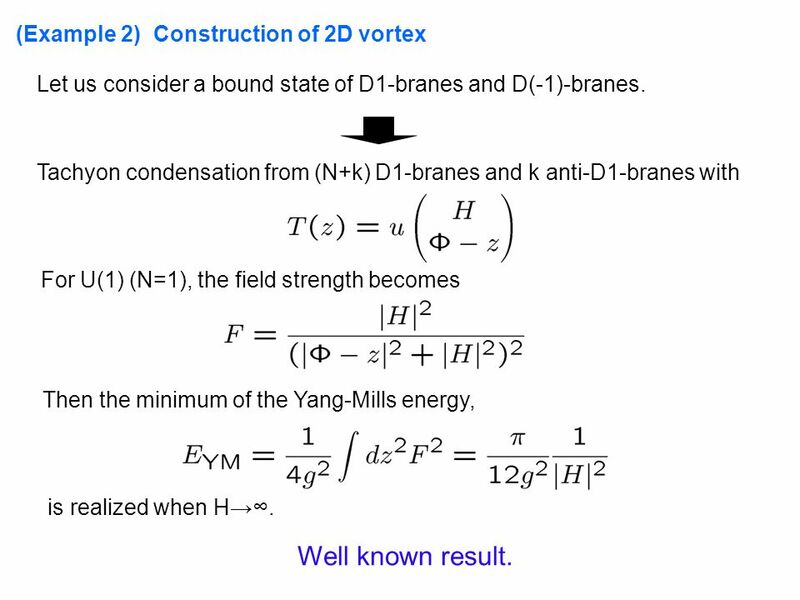 27 (Example 2) Construction of 2D vortex Let us consider a bound state of D1-branes and D(-1)-branes. 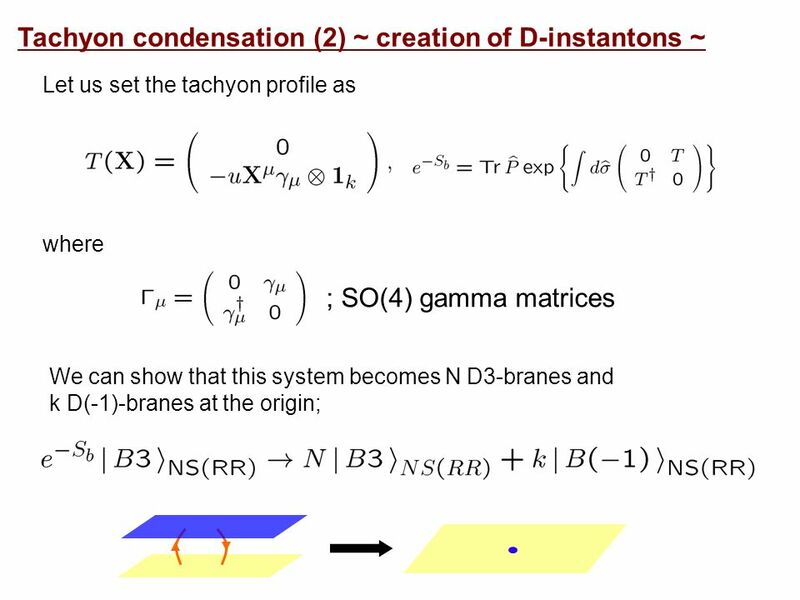 Tachyon condensation from (N+k) D1-branes and k anti-D1-branes with For U(1) (N=1), the field strength becomes Then the minimum of the Yang-Mills energy, is realized when H→∞. 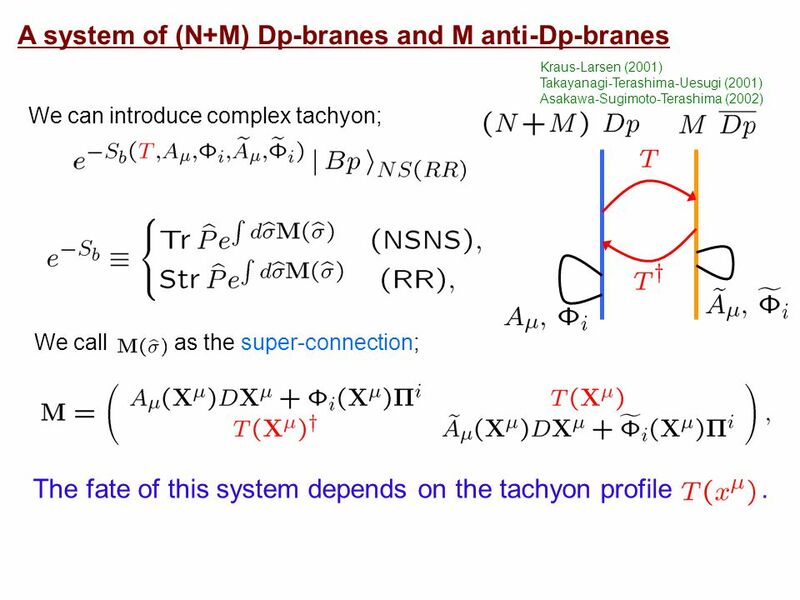 Well known result. 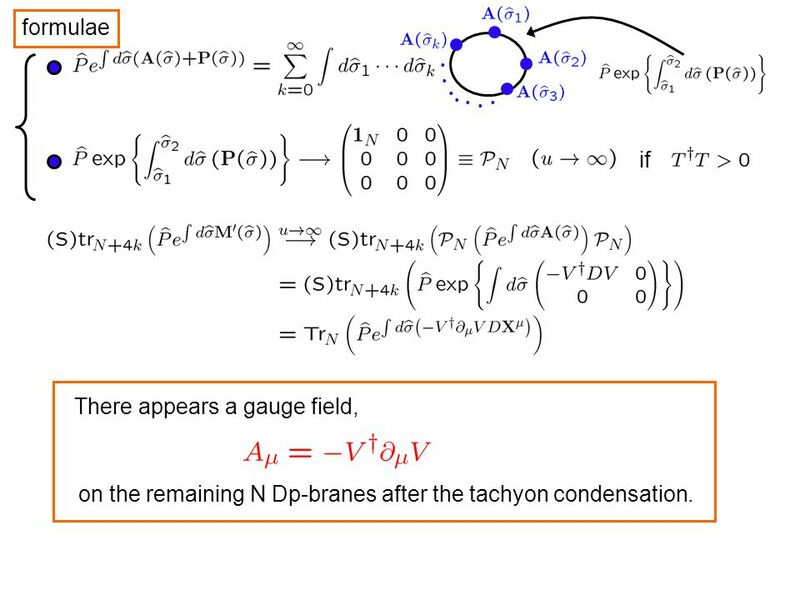 29 Conclusion 1.We proposed a systematic way to construct a gauge field on D-branes by the tachyon condensation. 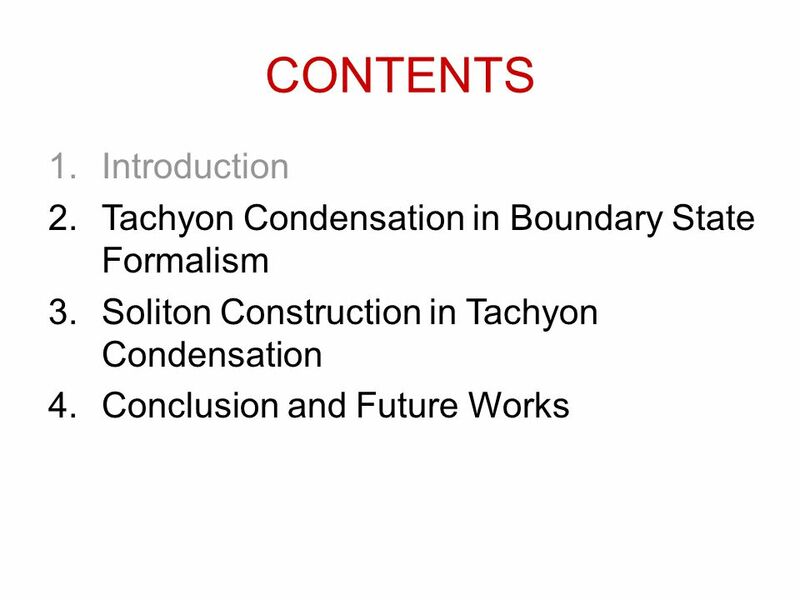 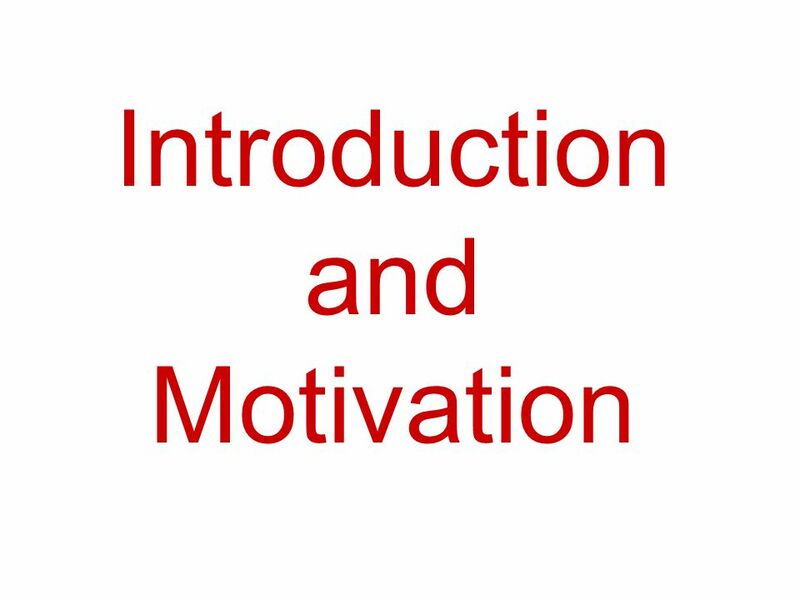 2.In particular, we can examine the structure of the moduli space of solitons in principle. 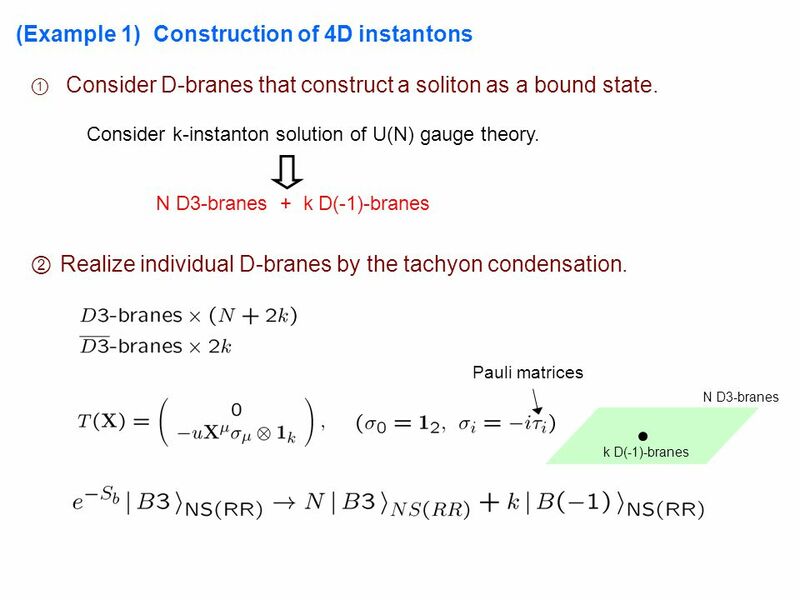 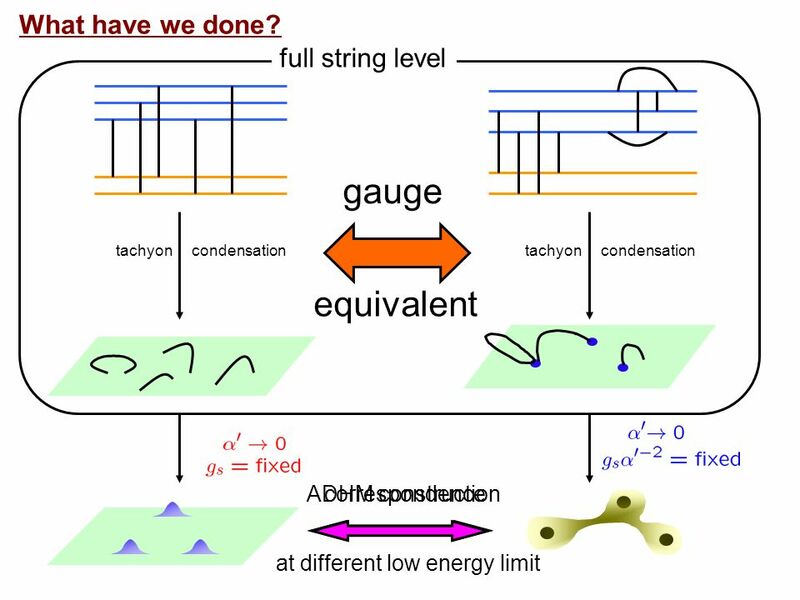 3.We applied it to the tachyon condensation of D3-branes and anti-D3-branes and showed that the ADHM construction can be understood as a gauge equivalence of two pictures of D- brane bound state. 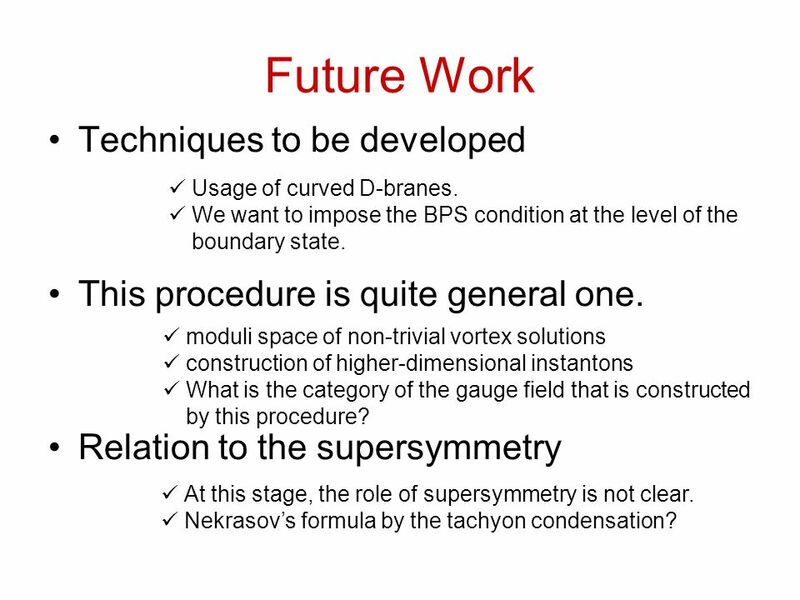 30 Future Work Techniques to be developed This procedure is quite general one. 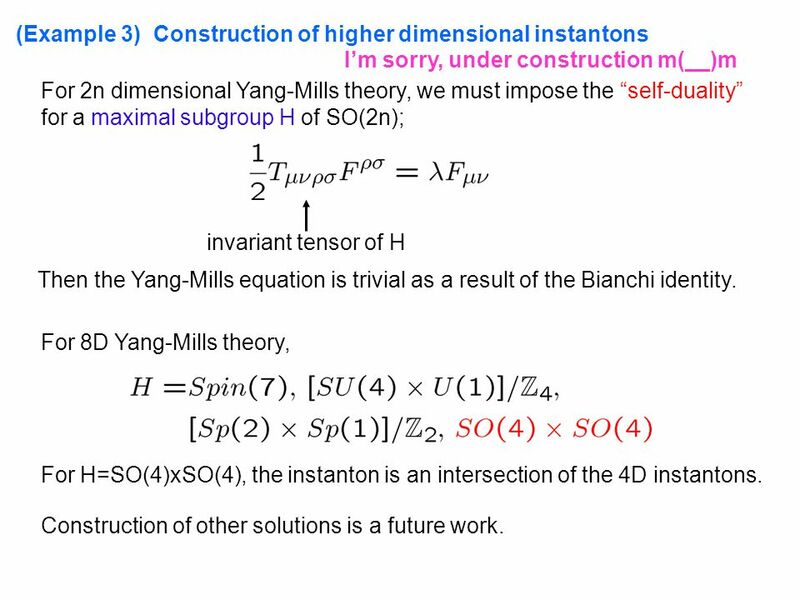 Relation to the supersymmetry moduli space of non-trivial vortex solutions construction of higher-dimensional instantons What is the category of the gauge field that is constructed by this procedure? 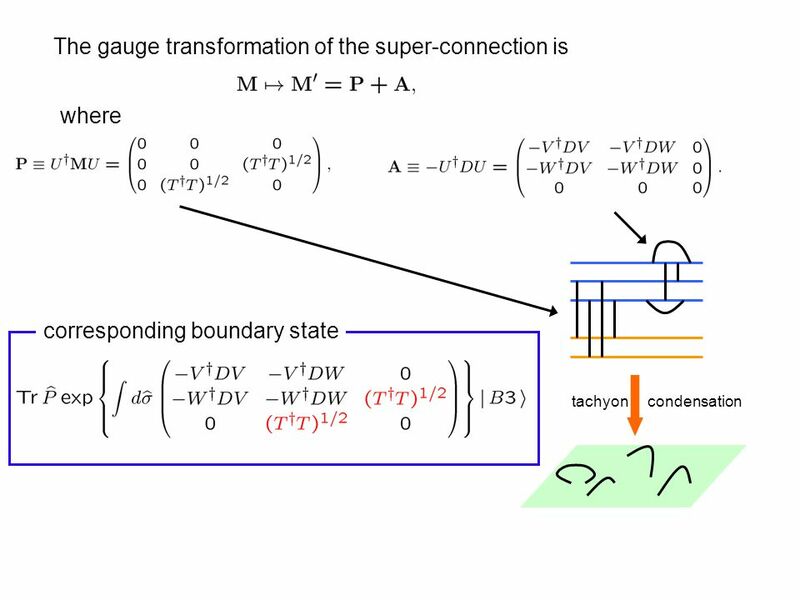 At this stage, the role of supersymmetry is not clear. 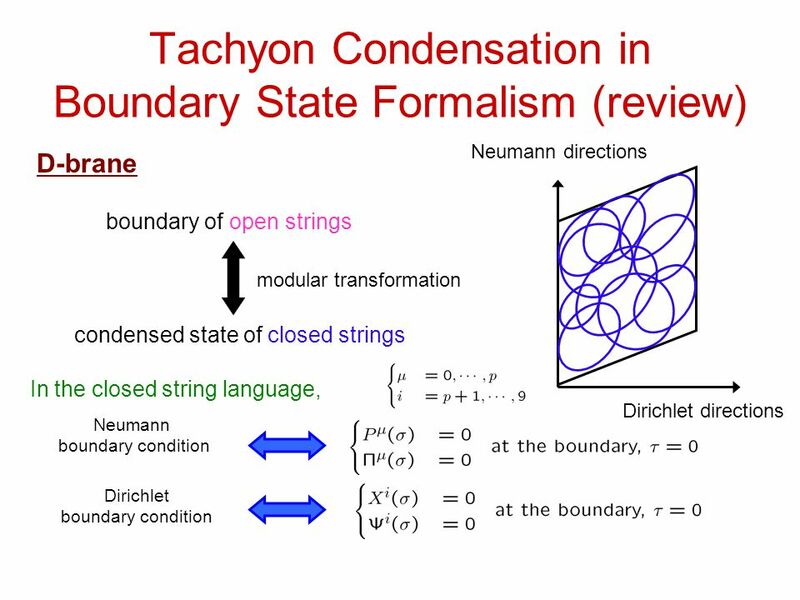 Nekrasov’s formula by the tachyon condensation? 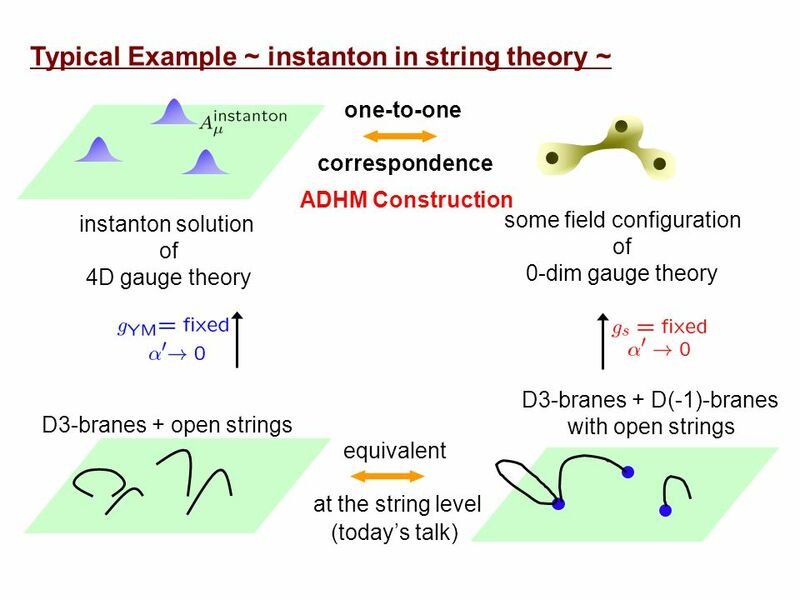 Usage of curved D-branes. 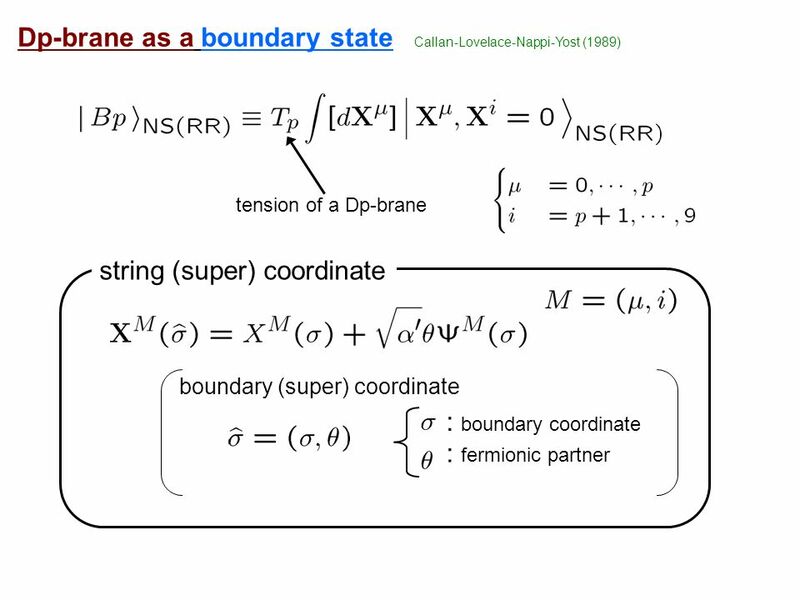 We want to impose the BPS condition at the level of the boundary state. 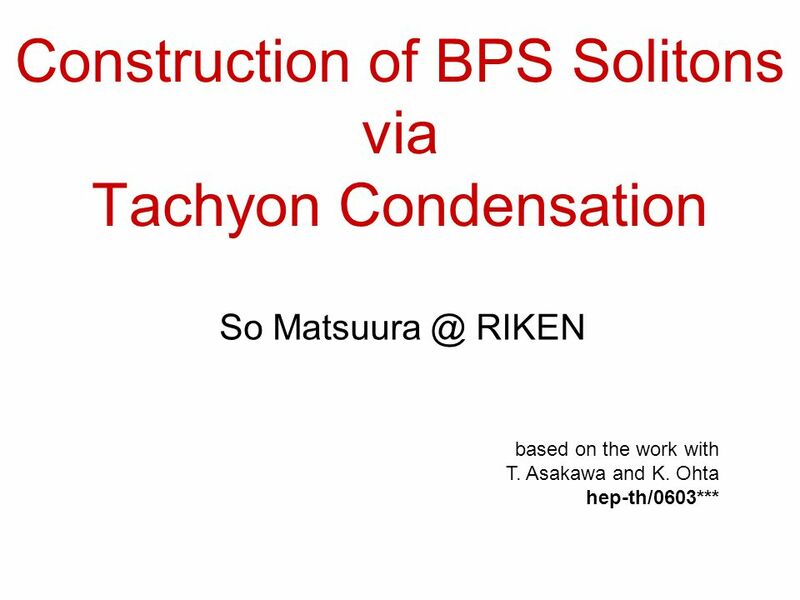 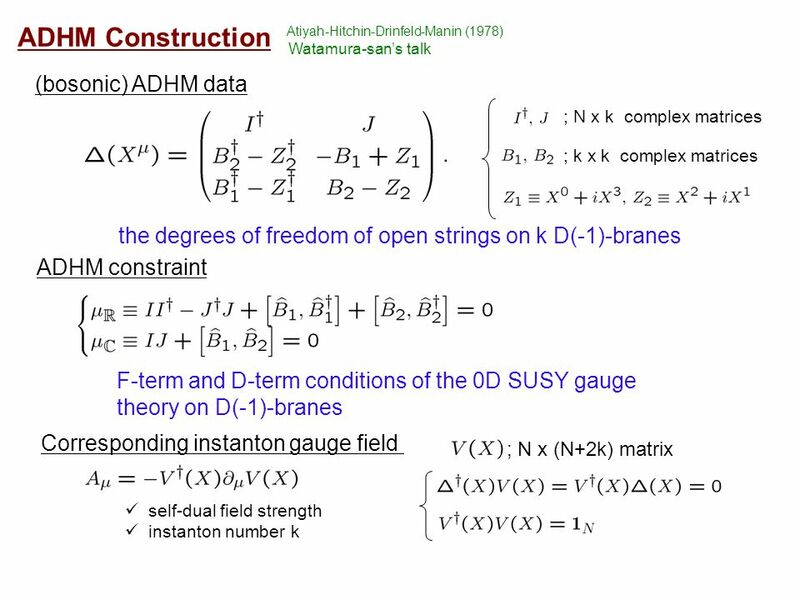 Download ppt "Construction of BPS Solitons via Tachyon Condensation So RIKEN based on the work with T. Asakawa and K. Ohta hep-th/0603***"
Extensions of the Standard Model (part 2) Prof. Jorgen DHondt Vrije Universiteit Brussel Inter-university Institute for High Energies Content: The Higgs. 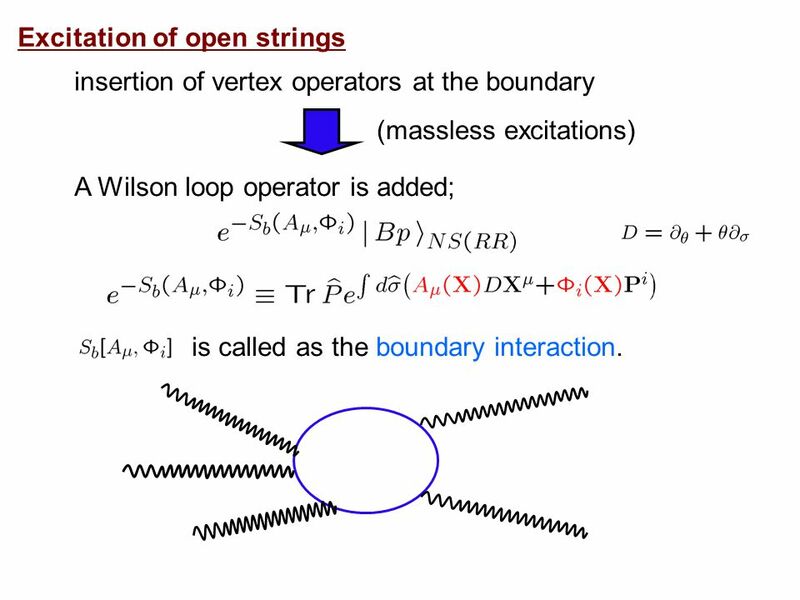 String Theory A picture book. 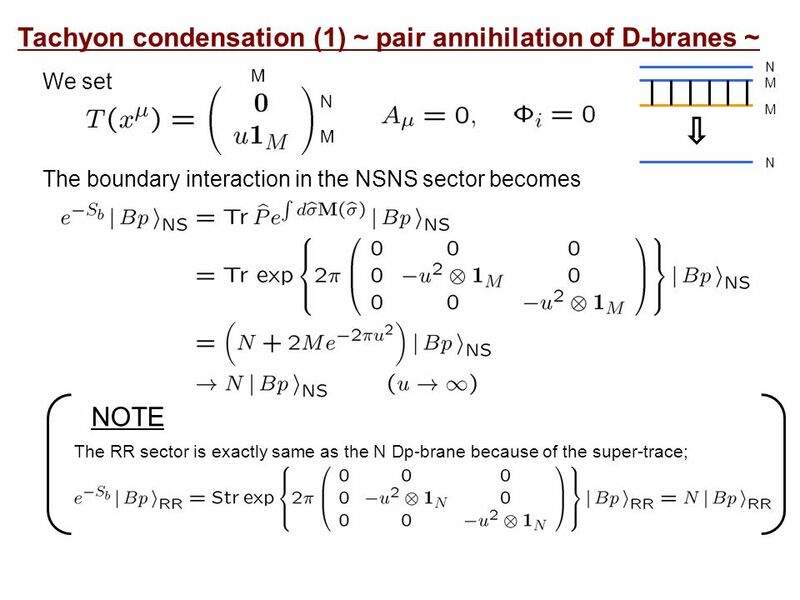 BRANE SOLUTIONS AND RG FLOW UNIVERSIDADE FEDERAL DE CAMPINA GRANDE September 2006 FRANCISCO A. BRITO.